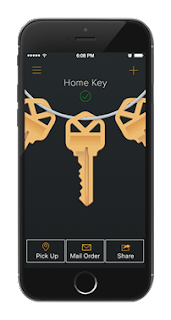 NEW YORK, N.Y. -- KeyMe, a New York City-based startup that is revolutionizing the locksmith industry, has closed on its $25M series D financing, bringing the company to over $100M funding to date. The infusion of capital allows the company to continue their rapid retail expansion and invest in more robust marketing. Founded in 2012 by Greg Marsh, KeyMe is fundamentally transforming how people access and manage their keys, providing a safe and convenient way to copy and share keys and solve frustrating lockouts. The company has smart kiosks in major retailers that can copy keys in under 30 seconds, at a rate that is 10X more accurate than industry averages, as well as a mobile application that enables customers to safely scan and save a digital copy of their key so that they have access to their keys when and where they need them. The $25M financing includes 100% insider investor participants and will continue KeyMe’s rapidly accelerating expansion into 2018. KeyMe will be finishing 2017 at more than 5X the number of kiosks in market than when the year began. The investors of the Series D are (listed alphabetically following lead): Comcast Ventures (Lead),Battery Ventures, Benefit Street Partners, Michael Polsky, Questmark Partners, Ravin Gandhi, RiverPark Ventures, 7-Eleven, White Star Capital. KeyMe kiosks are currently present in over 1,000 locations within leading retailers, including (alphabetically): Albertsons, Bed, Bath & Beyond, Kmart, Kroger, Mall of America, Rite Aid, Safeway, Sears, and 7-Eleven, among others. In a revolutionary advance in the industry, KeyMe enables customers to save digital copies of their keys in the cloud with confidence they will be protected by a state-of-the-art security platform. Customers can then recover a copy simply and securely using their fingerprint at any of the kiosks if they are ever locked out and can also use KeyMe’s free iOS and Android apps. KeyMe kiosks are the first and only kiosk with the ability to duplicate approximately 85% of all automotive keys on the market. 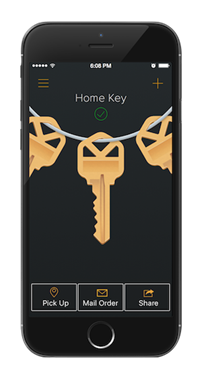 KeyMe is a secure and convenient way to copy, share and personalize keys and solve frustrating lockouts. The company has smart kiosks in major retailers that can copy keys in under 30 seconds, as well as mobile applications that enable customers to safely scan, save and share a digital copy of their key and order copies shipped to their door. KeyMe was founded in 2012 by Greg Marsh, and is funded by Battery Ventures, Benefit Street Partners, Comcast Ventures, Questmark Partners, White Star Capital, Michael Polsky,Ravin Gandhi, RiverPark Ventures, 7-Eleven, and among others. For more information, please visit www.key.me.